Livingston County is a county located in the U.S. state of Michigan. As of the 2010 census, the population was 180,967. It is included in the Detroit-Warren-Dearborn, MI Metropolitan Statistical Area. The county seat and most populous city is Howell. The county was platted in 1833, but for three years remained assigned to Shiawassee and Washtenaw counties for revenue, taxation and judicial matters. It was formally organized in 1836. As one of Michigan's "Cabinet counties", a group of ten counties whose names honor members of President Andrew Jackson's Cabinet, it is named after former US Secretary of State Edward Livingston. 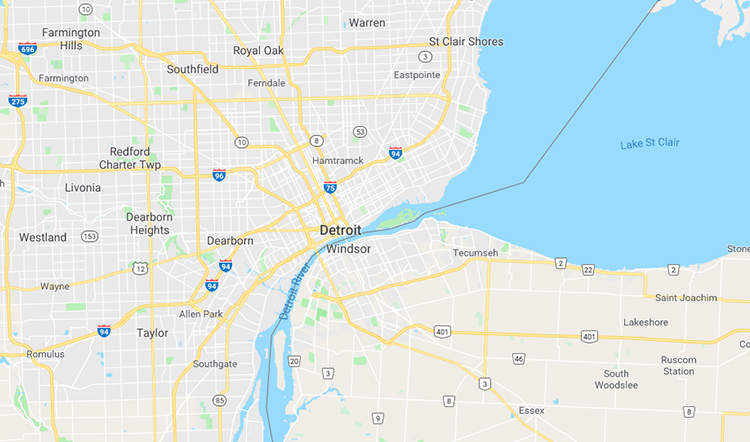 Livingston County's location in Southeast Michigan offers its residents relatively convenient access to the major metropolitan centers of Detroit, Lansing, Ann Arbor, and Flint. Livingston County residents regularly commute to those centers, using the three major expressways which pass through the county: I-96, US 23, and M-59. Although continuing to be composed largely of bedroom communities, the county is experiencing and maintaining significant growth in both the service and industrial economic sectors. Major employers include Tribar, Pepsico, Citizens Insurance, and ThaiSummit. The Brighton Recreation Area is located in the county. According to the US Census Bureau, the county has a total area of 585 square miles (1,520 km²), of which 565 square miles (1,460 km²) is land and 20 square miles (52 km²) (3.4%) is water. As of the 2000 United States Census, of 2010, there were 180,967 people, 55,384 households, and 43,531 families residing in the county. The population density was 320 people per square mile (107/km²). There were 58,919 housing units at an average density of 104 per square mile (40/km²). 96.7% of the population were White, 0.8% Asian, 0.4% Black or African American, 0.4% Native American, 0.4% of some other race and 1.3% of two or more races. 1.9% were Hispanic or Latino (of any race). 20.8% were of German, 11.2% Irish, 10.6% English, 10.6% Polish, 6.5% American, 5.2% Italian and 5.1% French, French Canadian or Cajun ancestry. 95.9% spoke English and 1.7% Spanish as their first language.